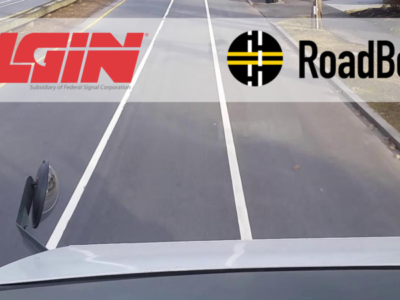 RoadBotics has completely changed the roadway management industry. Using a combination of the latest in machine learning, simple cameras, and cloud based technologies we are able to deliver a revolutionary product for roadway management and maintenance. Our customers have recognized enormous cost savings while also seeing the benefits of robust information that can be regularly updated. The answer is straightforward, but uses proven advances in artificial intelligence technology. We begin by using a dash mounted camera, from which we collect continuous images while traversing all the roads in a customer’s community. The camera sees everything. Combining the imagery data with GPS co-location, we have access to the raw data for every section of road with an image and a highly accurate location where the image is taken. Our advanced deep learning architecture then sets to work analyzing and processing every segment of road in a pixel by pixel fashion identifying common surface distresses. We have trained our artificial intelligence and machine learning platform to pick out common road deformities like unsealed cracks, potholes, hot patches, raveling, alligator cracks, etc. After aggregating the total damage on that small section of road, a final rating is provided on a one through five scale, with one being a perfectly good road in relatively new condition and a five requiring significant repairs. Each individual section of road can be analyzed in this manner in a geospatial context. All of this information is then overlaid upon the RoadBotics’ RoadWay cloud-based GIS platform. Every customer is provided credentials to access all the RoadBotics analysis from anytime and anywhere. We provide mechanisms for our customers to access and integrate this data with their existing work processes thereby enhancing the value of the data. RoadBotics is providing the latest in road inspection and monitoring technology because our team is passionate about offering a world changing product. We will continue to adapt and improve our technology in order to better serve each and every one of our customers because we believe in the transformative power of technology.